a wide area for game. 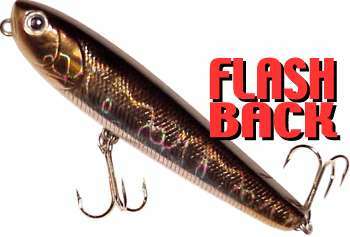 The FLASHBACK is used to sumulate fish that are feeding. express well the slow movement. Ring,snap,and bowline knot for wide sliding width; direct connection for little sliding width.